Premier Dental Care (Henderson) - Book Appointment Online! 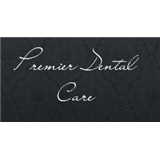 Premier Dental Care understands that a dentist and patient’s dental successes are intertwined. If you aren’t happy then our dental staff isn’t either. We do everything in our power to ensure our patient’s satisfaction throughout the Henderson NV area. At the heart of our ability to guarantee this is our dentist’s dedication to every patient. Dr. Alex Song is a great listener. He asks questions to understand your specific needs and then responds with specialized treatment choices whether you need cosmetic dentistry or dental implants. We are there for each patient during the whole process, from consultation to a full recovery. Whether you need emergency service, implants, routine maintenance, or cosmetic dentistry, we can help you.